My 3.5 year old is crazy about counting right now – fingers, shoes, birds… you name it, he counts it. 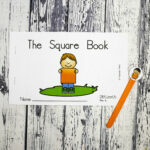 So I was excited to pull together a set of colorful goldfish counting cards that would give him practice with the numbers 1 to 20. 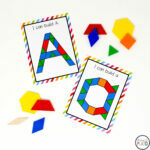 These free printables are fun, motivating and, as a huge bonus, end in a tasty snack. Can’t beat that! 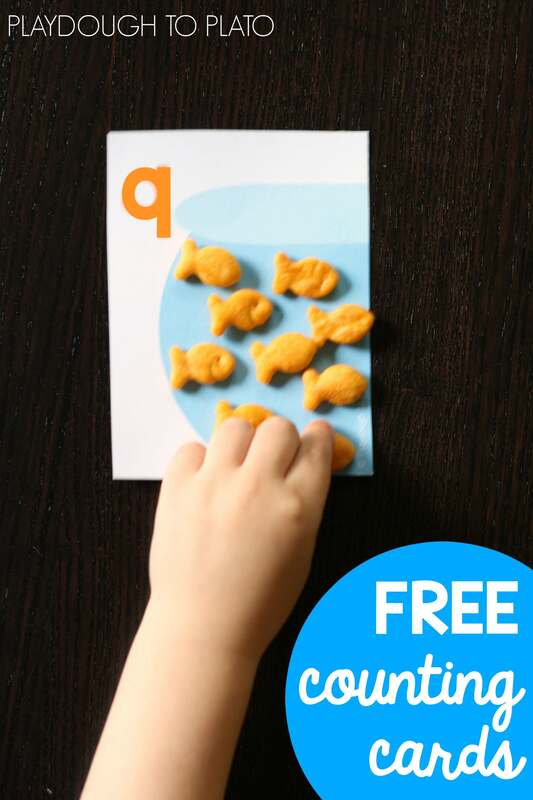 To prep, I printed the goldfish counting cards on cardstock to give them extra durability and cut them apart with scissors. Then I grabbed a bowl of goldfish crackers from our pantry and invited my son to join me. 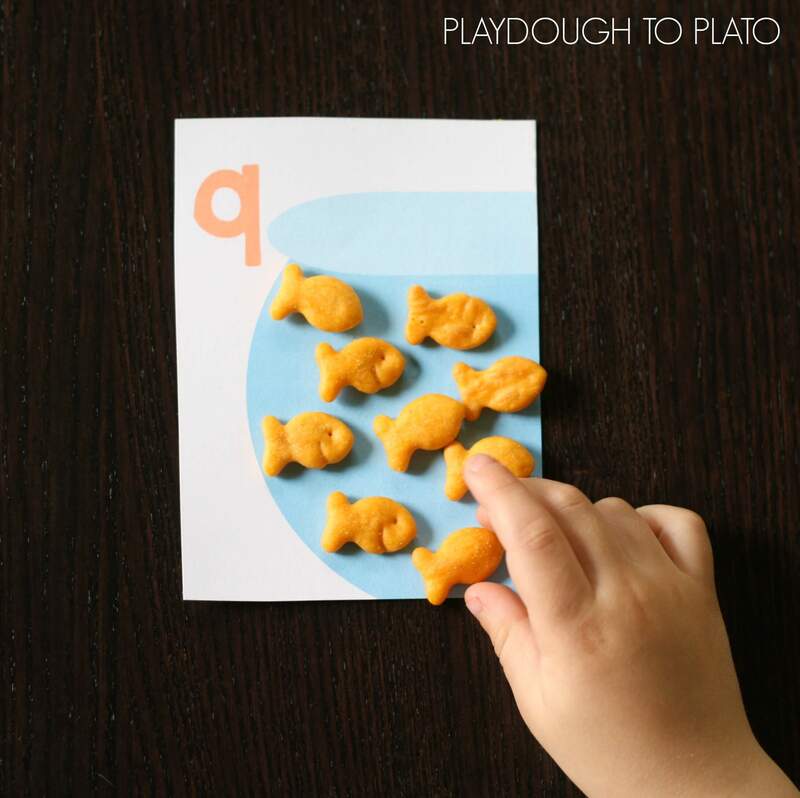 After laying the cards in a line from 1 to 20 to help him practice reading the numbers, my son eagerly grabbed the first card and placed one happy goldfish in the bowl. Excitedly grabbing one card after another, he practiced counting from 1 all the way up to 20. 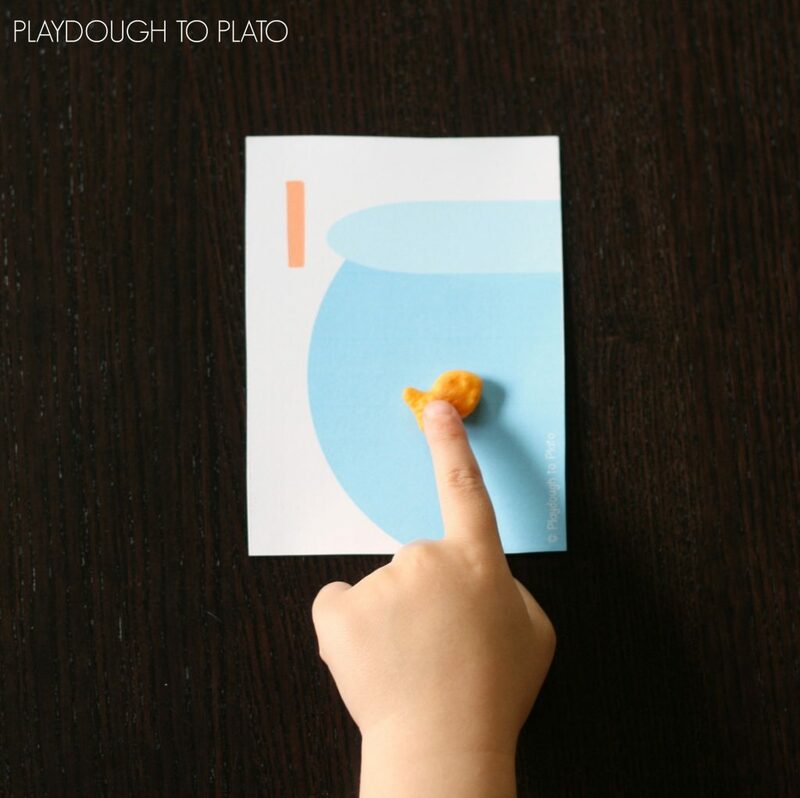 My son and I both agreed – the goldfish counting cards were an easy, delicious way to work on numbers. 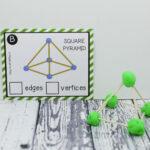 Ready for some tasty math practice too?! 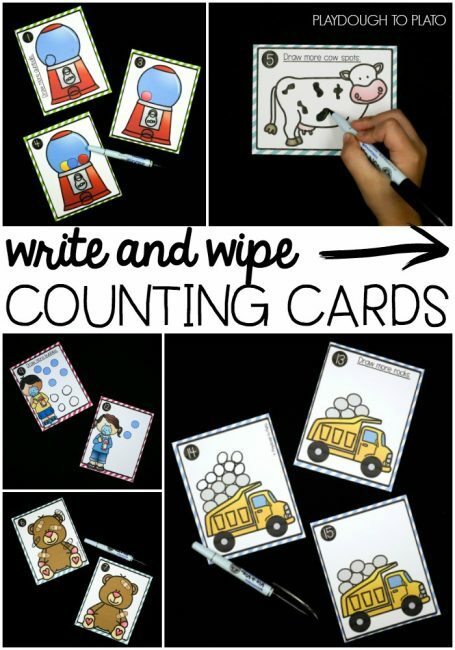 Click the blue button below to download your set and then hop over and snag our Write and Wipe Counting Cards too.